Steven joined our Service Department as a detailer in 2017. “What I enjoy most about working here is learning more about the RV industry every day with the help of my knowledgeable and communicative co-workers.” In his free time, Steven spends time on his family farm helping out on the tractor, in the shop, or the garden. He also enjoys disc golfing and trail riding on bikes. I love the ability to pack up, get away from home, and retreat to the sanctuary that is nature. Nothing is better than being outdoors and bonding with family. I love burgers and beans cooked on a campfire with s’mores for dessert of course! My favorite place to go camping is anywhere in the Upper Peninsula. I love the scenic views of the Great Lakes and driving to the Black Rocks in Marquette to cliff dive. I love that everyone has the chance to succeed and live their dreams if they are driven to put in the hard work. I am grateful for everything in life and take nothing for granted. I am grateful to have such a great family that has supported and cared for me since day one. I am thankful to be working for such a down-to-earth company that really has the best interests of its employees and customers in mind. 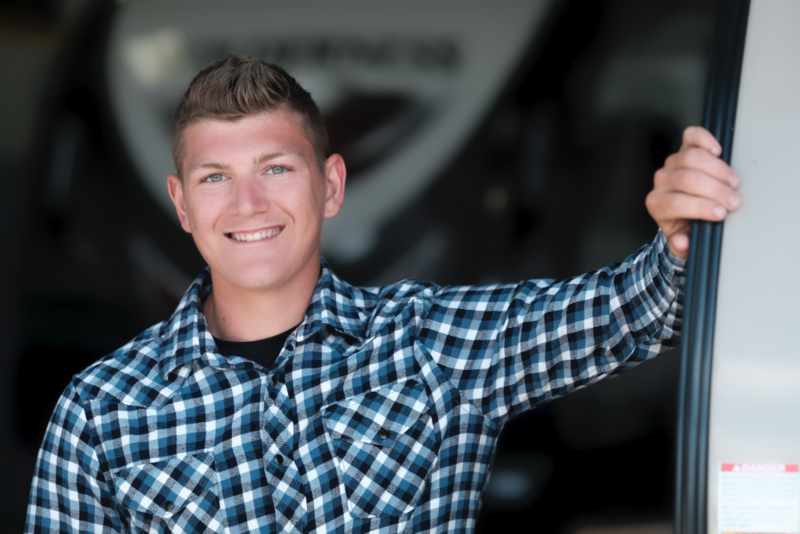 My pledge to the Tri City RV Customer is to treat them with the utmost respect and hospitality, while giving them an unparalleled helping hand, the best they will ever receive at an RV Dealership! You will feel like a part of the family!